Over the past two years, even before the Nintendo Switch was announced, there were rumblings of a SKU that was more powerful than what we ended up getting at launch. These rumors have persisted throughout the last two years with many claiming that “inside sources” have confirmed the existence of a newer Nintendo Switch model, which was further backed up by dataminers finding references to a new chip in the Switch itself which appeared after a major update. This new chips codename was “Mariko.” Because it was datamined from the Switch itself it’s as good as official confirmation that a new Switch model exists somewhere, but the current CEO of Nintendo recently came out and stated that Nintendo was not currently thinking about the successor to the Nintendo Switch. This left many in varying states of confusion, or denial, or in some cases satisfaction because many believed that no such thing existed in the first place. But here’s the thing. A successor to the Nintendo Switch is not the same thing as a console revision. 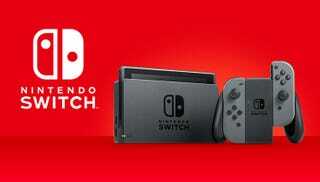 All the rumors up to this point have not been referencing an entirely new console from Nintendo, they have been referencing an updated model of the Switch that has better battery life, a better screen, an upgraded CPU and/or GPU, etc. This falls under the category of a console revision. It is not, technically, a successor even if it blows the old model out of the water. The Xbox One X, despite putting the original Xbox One to shame, is not the successor to the Xbox One. It is still a part of the Xbox One family, just like how you had the Nintendo DS, the DS Lite, and then the DSi. The DSi, to my knowledge since I never owned one, was stronger than the DS even if it wasn’t by a super large amount, but you could have classified it as a successor, but it wasn’t. The DSi was a revision of the DS. The 3DS, however, was the true successor because it brought new ideas to the table. Nintendo thought that it was different enough to be considered their next big thing. The Switch, in turn, was the next big thing after the Wii U. It was a whole new idea. Rather than have two separate screens, they just took the console and shoved it into the gamepad, letting you take it on the go with you like a 3DS, or hook it up to the TV. Nintendo doesn’t operate like Microsoft or Sony do. Microsoft and Sony are content to simply beef up the power exponentially and call it a successor or the next big thing. Nintendo doesn’t do that. They only call a system a successor when it does something new and what they consider innovative. With the DS is was the dual screens, with the 3DS it was the 3D. With the Wii it was motion controls, the Wii U was dual screens on a home console, and the Switch combined a handheld and a home console. A theoretical Switch Pro or Switch 2 is nothing more than a power upgrade because there isn’t really anything else they can do to the Switch. For them to proclaim a successor, they have to do something different, something more. Nintendo’s proclamation that they are not currently thinking about a successor won’t dispel the rumors of a new Switch model for the next holiday season, because that’s not a successor. Now, granted, Nintendo will probably have to do some explaining to those who do believe they are one and the same when they do inevitably announce it, and that’s down to poor wording or at least poor understanding. It’s like a writer for a big gaming news site calling Resident Evil 2 REMAKE a remaster(Yes, this did happen, I can’t remember where because I was just glancing through. ), which it is not. A remake and a remaster are not the same thing, and the same goes for successor and revision. You could argue that, yes, a more powerful Switch would be succeeding the old model, but in Nintendoland, that is not classified as a successor, at least not since the GameCube. Nintendo is in no rush to one up themselves with the next innovative idea while the Switch is doing ridiculously well, which is why they’re not actively developing it. They might have ideas, but they’re content with the Switch’s success enough to ride it for as long as it will last, and more powerful revisions have become a way to stretch out the life of a console. The Switch, being a tablet device, could be upgraded more often than your average home console and allow Nintendo to take their time on the next big idea. NVIDIA will just throw them a Pascal X2 chip, or a Volta X3 chip, or, god forbid, a Turing X4 chip. Granted Nintendo has to retain a decent price point while also not completely killing the battery or making it so hot you need gloves to hold it, but the option is probably on the table. By the time this device would release, Holiday 2019 or Spring 2020, it will have been close to or exactly three years since the launch of the Switch. Not necessarily a bad time to revise the hardware, especially with the impending launch of next generation hardware from Sony and Microsoft that would widen the power gap to the point that third parties might deem the Switch too weak to continue supporting once support for PS4 and Xbox One drops.